SINCERE TECH is an injection mold china company that provides a variety of services to the world, including custom plastic mold making, custom injection molding service, and Ultrasonic Welding, one step to complete your project. 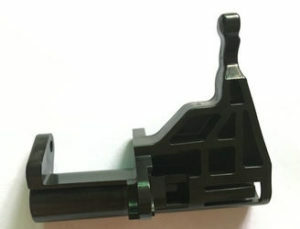 Ultrasonic Welding is used to bond two pieces of plastic together. Ultrasonic welding is probably the most commonly used thermoplastic welding process because it is very fast (fractions to a few seconds) and usually produces welds that are relatively free of flash. In addition, ultrasonic welding is suitable for high volume production. Ultrasonic welding uses the potential energy within the plastic itself, converting it to heat and sound. In plastic ultrasonic welding the parts are vibrated toward and away from each other. This heats and softens them. The continued motion heats and softens the plastics, then mixes the softened surfaces of the plastic together. This forms both a physical, and if the plastics are selected correctly, a chemical bond between the parts. A sonic horn oscillates vertically, contacting the plastic part at a variable distance from the projection point, depending on the application, delivering the energy where it’s needed. The part on the other side of the joint area rests on an energy-dampening anvil, ensuring the sonic energy remains in the weld zone. Tongue & groove joint design and location is very important in ultrasonic welding. Interference, or shear types of joints, involve welding a slightly larger part into a smaller one. Shear joint designs are commonly used for semi-crystalline polymers, or when watertight seals or high joint strengths are needed. Higher speed – welding usually occurs in less than a second. Unlike most other methods of plastics joining, ultrasonic welding uses no caustic chemicals and produces few fumes. The only restriction on welding plastics is that the parts must have relatively close melting points, or else one will melt completely before the other begins to soften.